Well what a Game Day 1! Great games , really some good games were played. They were almost overshadowed by out burst of anger and discord from a coach who thought the refs and everyone was against him. His team won a closely fought contest and he later went around and apologized to everyone still in attendance. We have to keep in mind if we want to grow the hobby we need to check the ego’s and the win at all cost attitudes if we want to bring in new coaches. If we had any coaches that were thinking of joining they would have second guessing after witnessing the out burst. 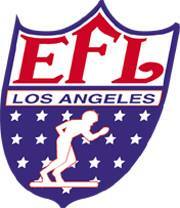 This league has a good thing going and it should detour from it’s mission of fellowship and growing the hobby. Let’s get back to the games and the laughter, next up Game Day 2, April 7th.